Is it Legal to Sell an Old Passport? 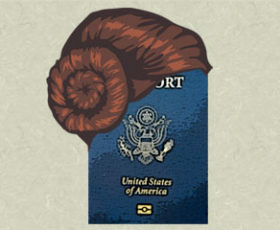 Shortly after the death of actress Carrie Fisher in late December, one of her old passports appeared for sale on eBay. The actress, most famous for portraying Princess Leia and General Organa in the Star Wars movies, was a beloved figure around the world. Her passport, previously held by a passport collector, has value now as a piece of Hollywood history. But we wonder — Is it legal to sell old passports?